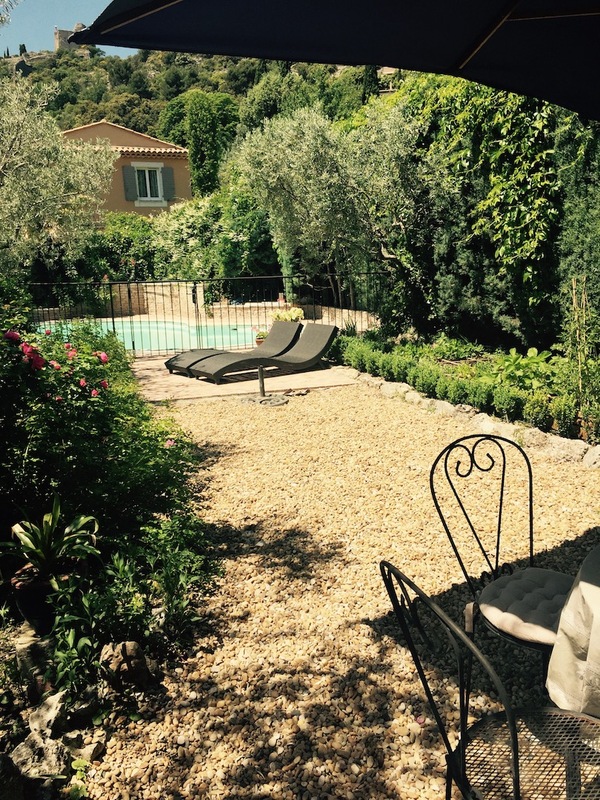 Durin g this summer of 2017 at Language In Provence we launched an accessible and enjoyable way to immerse yourself in French for a day. 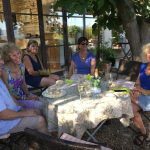 Our fun, participative day programme proved to be a great success with those who joined us in St Saturnin and we have more days planned for 2018. 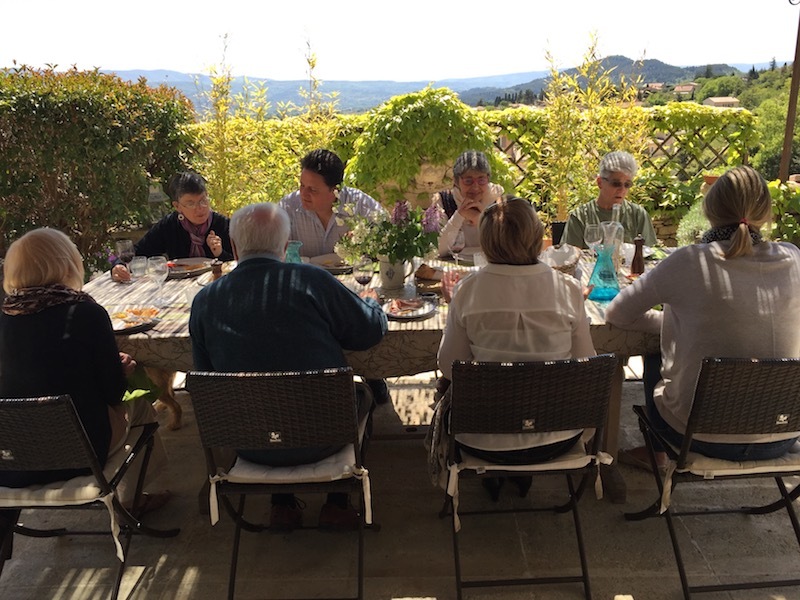 Here in Provence our seasons, conversations and passions revolve around food, wine and seasonal produce. 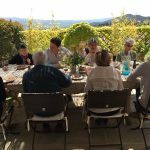 And what better way for us to share this passion than over the LONG LANGUAGE LUNCH, an opportunity to enjoy a relaxed French lesson and convivial lunch while discussing themes and vocabulary associated with food and wine and French expressions used in restaurants, shopping and daily life. Of particular interest to our participants has been all that is associated with ‘modern French manners’. 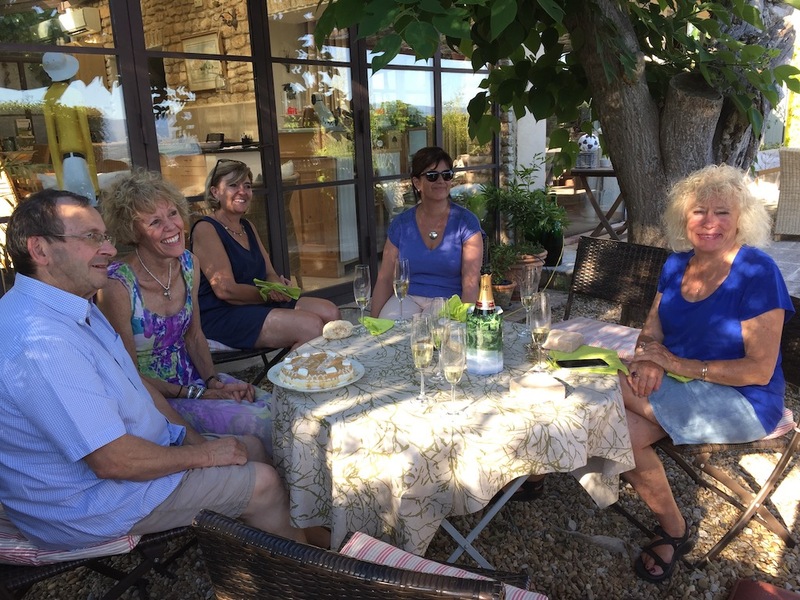 We begin our day with an enjoyable French lesson – under the trees in the garden if the weather is fine – and continue with a lunch where we can practise our French throughout the meal accompanied by our native French teachers. 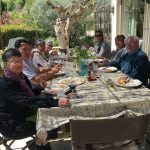 Food is a wonderful way to reduce inhibitions and to use this lovely language in a very natural situation outside the classroom. Our lunches consist of dishes and ingredients which are seasonal and fresh. And of course they are accompanied by some delicious local wines! We have a maximum number of 10 places available for our one day programme and participants will be divided into two groups (language levels will be taken into account). We will be running these language days regularly throughout the summer season. Please let us know if you and/or your family and friends are interested in any particular dates. 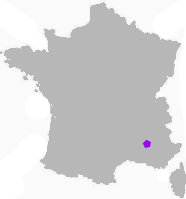 PRICE : 85 euro per person for fully inclusive French day course to include morning lesson (min. 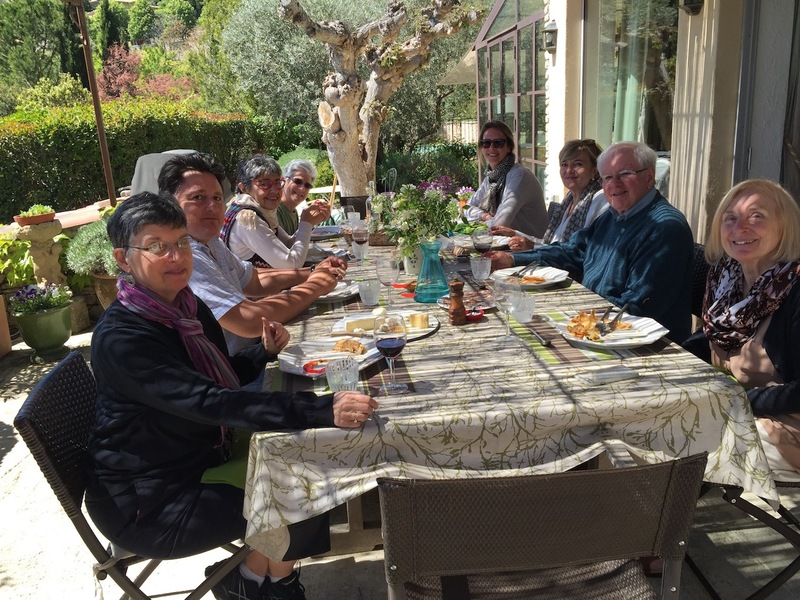 2 hours), lunch with wine and coffee and conversation with French teachers throughout the day. Subject to a minimum number of participants.